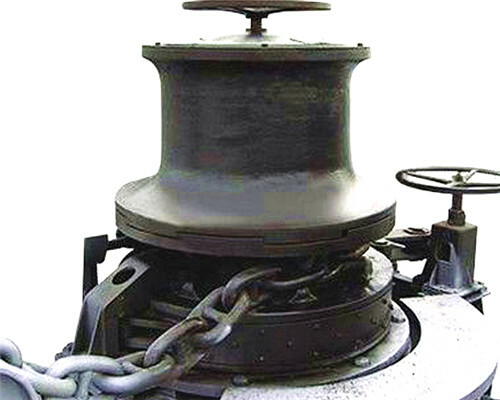 Capstan anchor winch manufactured from Ellsen winch factory in a kind of lightweight lifting equipment, also known as hoists, which use reel-wound ropes or chains to lift or pull heavy objects. The winch can be used alone, and it can also be used as a component in types of machinery such as lifting, road building, and mine hoisting. 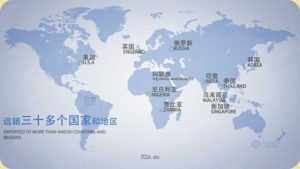 It is widely used due to its simple operation, a large amount of roping, and convenient displacement. Equipped with Ellsen capstan anchor winch, your boats, ships, cranes will perform better than ever. 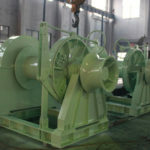 Since, the company has its own winch manufacturing factory, any types of anchor capstans the company can tailor for you. 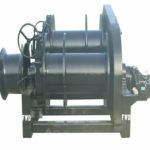 What’s more, in terms of the winch costs and prices, the company can also offer you its factory price level. 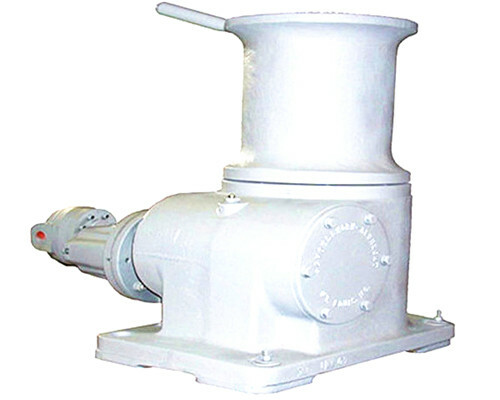 The anchor capstan winch specifications mainly include the winch capacity, the winch rope capacity, and the winch hoisting speed, and power supply, etc. 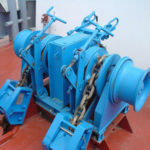 The following are some types of our hot sale winch marine capstan anchor winches for your reference. High versatility, compact structure, small size, light weight, heavy lifting, convenient use and transfer. 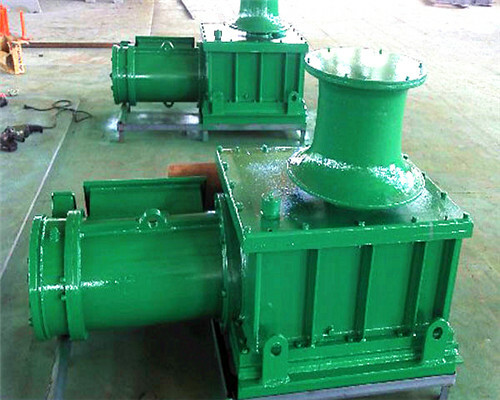 Ellsen winch can be widely used in construction, water conservancy projects, forestry, mining, docks, etc. The machine is equipped with modern electronically controlled automatic line equipment. Various Capacity Chosen: There are 0.5 tons to 350 tons, divided into two types, fast and slow. 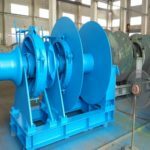 Among them, the large tonnage winch with a weight of more than 20 tons can be used singly or as a component of types of machinery such as lifting, road building, and mine hoisting. It is widely used due to its simple operation, a large amount of roping, and convenient displacement. 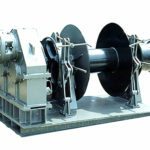 Winch main technical indicators are rated load, support load, rope speed, and capacity and so on. Firstly, it can be used as lifting equipment for mine hoisting, sinking hoisting and suspension (lifting) sinking equipment facilities, i.e. lifting ore, waste (stone), lifting staff, decentralized materials, tools and equipment along the wellbore. 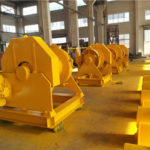 Second, as transport equipment, the anchor capstan can be used for underground scheduling and transportation of ore (truck), stope ore (slag) or filling, removal of columns and so on. How to Inspect Your Capstan Anchor Winch? After the winch is installed, it can be lubricated for lubrication points after being inspected and adjusted for confirmation. 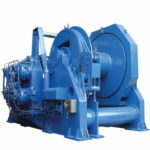 After the none-load test winch applications, the load is run after being wound and gradually loaded to the rated load. 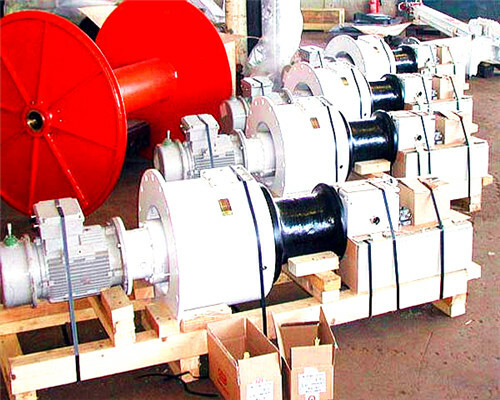 Under the standard voltage, the current winch does not exceed the rated value, and the motor, reducer and other parts do not generate heat. 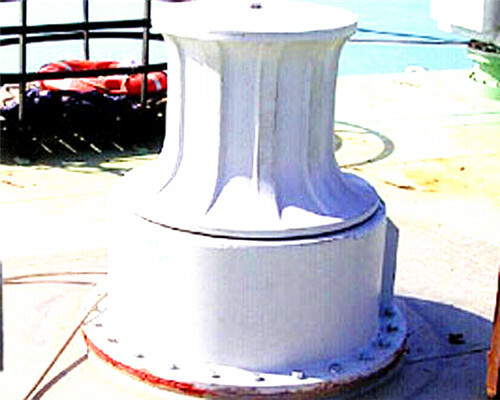 The entire capstan anchor winch and its components shall be inspected in the normal status. 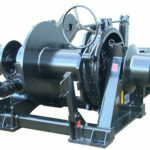 Then, you can confirm the order from your capstan anchor winch supplier. 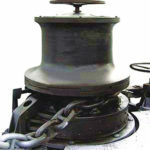 Why Customers Choose Our Capstan Anchor Winch? 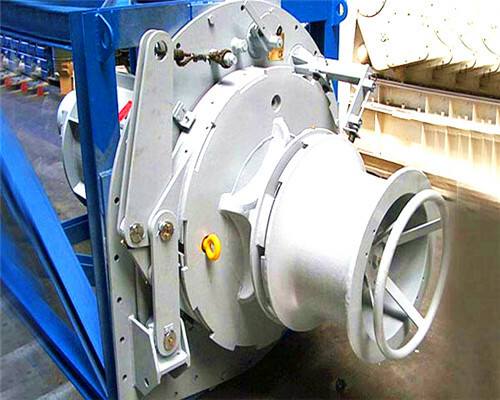 As a useful marine anchoring machine, Ellsen capstan anchor winch has been well recognized by our customers. The layout of the whole machine is reasonable, the structure is novel and compact, the volume is small, the occupied area is small, and the power input direction is perpendicular to the drum axis. It can realize two-way operation, continuous transportation, long transportation distance and high efficiency. The winch uses a new type of transmission and is original. The transmission has the dual functions of deceleration and braking. The structure is basically symmetrical, the appearance is elegant, and the internal components are arranged rationally and the structure is tight. The gear output meshes with the drive output and is different from the conventional shaft output. In this way, the coupling of a transmission output shaft and a drum shaft can be reduced, reducing the number of transmission steps. The use of gear meshing drives has high transmission efficiency. 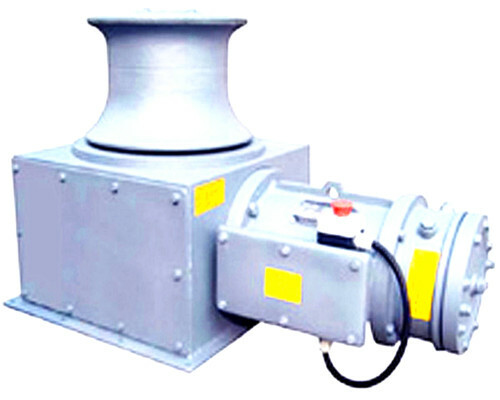 It is a new type, high efficiency, high-speed ratio, and large load capacity deceleration device. The manual brake function has been added, and its safety and reliability have also been greatly improved. The brake device is arranged in the middle part of the transmission. The internal gear speed of the brake wheel and the planetary transmission is relatively high. Compared with the brake device in which the brake wheel and the roller are integrated, the required braking force is greatly reduced. This specific reduction is related to the transmission ratio of the final stage gear meshing, and the brake wheel diameter is also reduced. In this way, the brake function can be achieved with a smaller braking force, which enhances the operational safety and reliability. At the same time, as the braking force becomes smaller, the force on the brake belt is also reduced, wear is reduced, and the service life is extended. Brake handle device is located in the tail section of the winch, the operation is simple and convenient. The roller structure is arranged symmetrically and is supported by a pair of self-aligning roller bearings on the roller shaft. The bearing effect is good, the support rigidity is high, and the operation is stable. 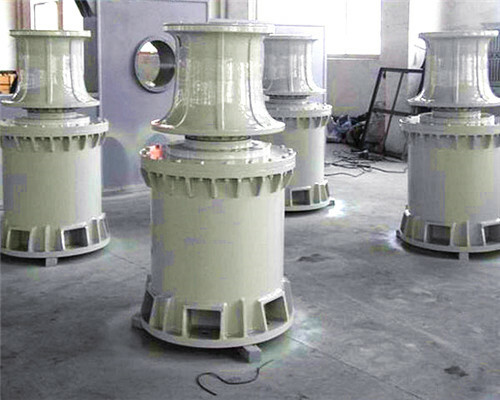 Moreover, the main shaft of the drum is a mandrel and does not bear dynamic loads, which greatly reduces the requirements on the strength and rigidity of the shaft. This can reduce the process steps, save materials, and reduce costs. Any types capstan anchor winch you need for your ships, yachts, boats, be free to contact us, Ellsen can provide its customized winches for at your industry convenience.